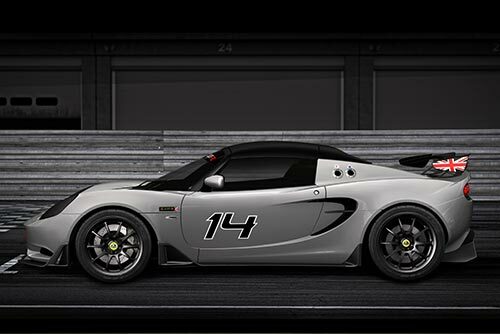 Car fans will also be able to see a range of new models for the very first time, including the world launches of the Lotus Elise S Cup R, Zenos E10 lightweight sports car, £60,000 Sin R1 supercar and the UK debuts of the Abarth 595 50th Anniversary Edition and the 576bhp Vauxhall VXR8 GTS. “We’re excited about hosting such an amazing line-up of supercars and new models at the Performance Car Show this weekend,” said Ian France, Performance Car Show Director. Show partner Autocar will host almost 3,000bhp in its Supercar display, celebrating the best road-going models. The new Aston Martin Vanquish leads the way, alongside the 731bhp Ferrari F12 Berlinetta, then the Jaguar XKRS GT celebrating 25 years of Jaguar’s R brand and the 616bhp McLaren 12C GT Sprint, limited to just 20 units. A diverse range of 16 cult motoring favourites will be assembled on the PistonHeads Heroes collection, led by the very first Jaguar D-Type ever produced. It’ll be joined by cars such as the James Bond-approved Aston Martin Works Vanquish and special production versions of the Audi Quattro, Ford RS200 and Peugeot 205 T16 representing rallying’s legendary Group B era from the 1980s. The display will also feature the revered Honda NSX and Nissan Skyline GT-R R34, a Volkswagen Golf Mk1, Renault Clio V6 255, Mercedes-Benz 450SEL 6.9 and 1989 BMW E30 M3 Sport Evolution. Beyond the stunning displays, leading car clubs will be on hand, along with suppliers of the latest performance parts and accessories. Under the same roof, Autosport International will host the very best of motorsport, signalling the start of 50th anniversary celebrations of John Surtees’ 1964 Formula One World Championship. Tickets for the Performance Car Show in association with Autocar and PistonHeads.com are available online from £31 for adults and £20 for children, or can be purchased at the door. For more information visit www.performancecarshow.com.